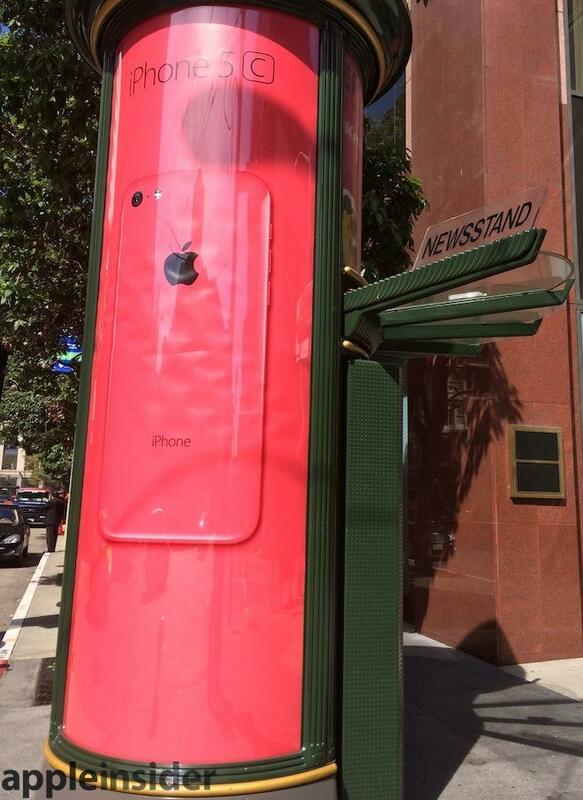 Apple's latest billboard ad campaign focuses exclusively on iPhone 5c, highlighting one color at a time with zero attention given to the product's specifications or price. 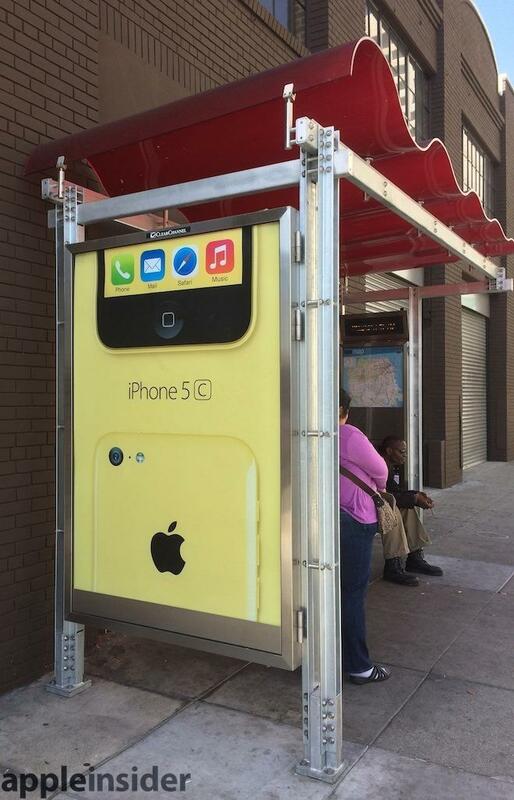 The new ads have appeared on San Francisco's street billboards, bus stops and kiosks, alternating between two designs. 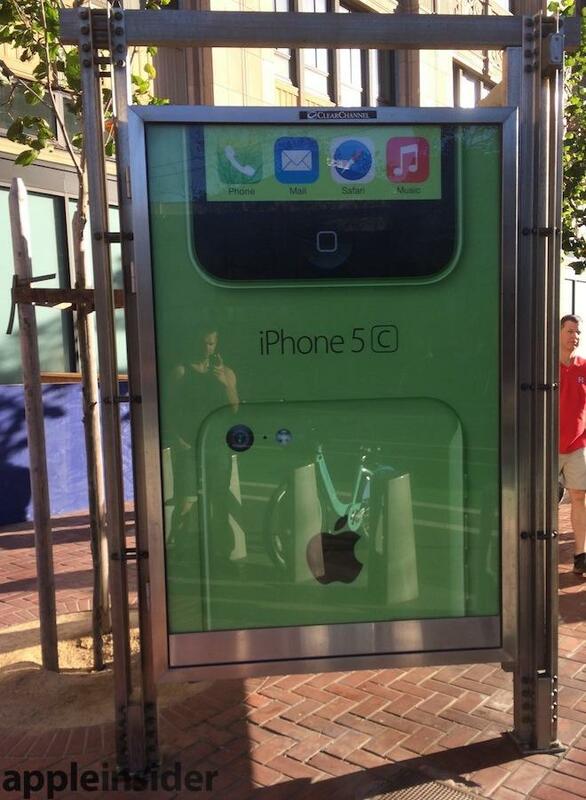 The first is a tall poster depicting simply the back of a single color of the iPhone 5c. 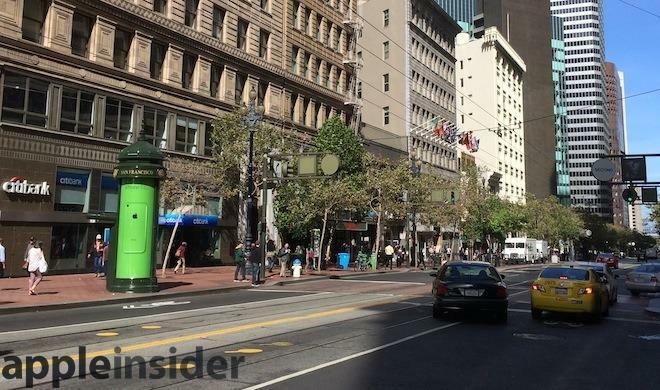 Above, a green iPhone 5c stands on a matching green backdrop on Market Street in the Financial District. Nearby, a tall red on red poster (below) stands opposite the Metreon mall. 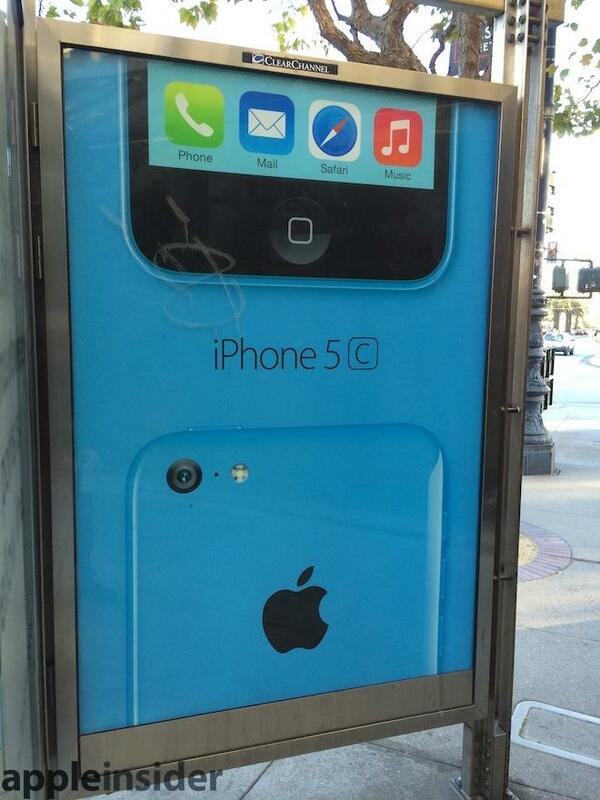 A series of other posters display a bottom and the rear of two phones of the same color against a matching backdrop, with "iPhone 5c" sandwiched in-between. At the top of the ad, the bottom of one phone highlights its iconic single Home button and the default row of apps that ship with the phone, including Mail, Safari and Music, in their new iOS 7 editions. Underneath, the top rear of the phone depicts a camera with flash and a prominent Apple logo. The ultra simple posters focus all attention the style of the new model, with no mention of price, size or components. The word "Apple" does not even appear. The new print campaign reflects a more serious hue than Apple's playful "Greetings" television spot for iPhone 5c, which portrays a colorful set of characters around the world, interacting with the new phone in a global tapestry of literal and figurative color. The new ads contrast with Apple's recent iPad advertising, which has been almost singularly focused on third party apps. 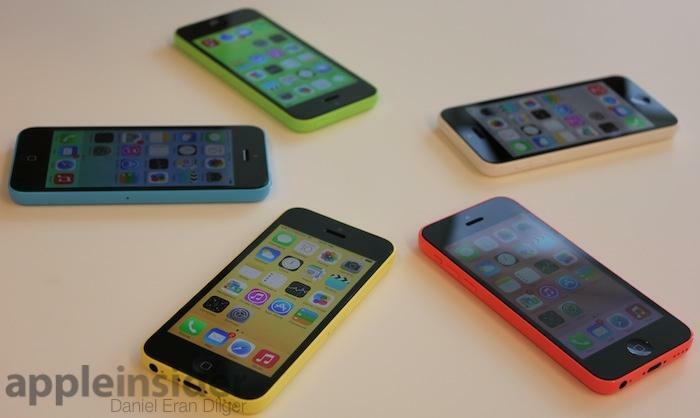 However, the color-centric campaign for iPhone 5c mirrors Apple's longstanding focus on color in its iPod line, which began with the 2004 iPod mini and progressively overtook the entire lineup. 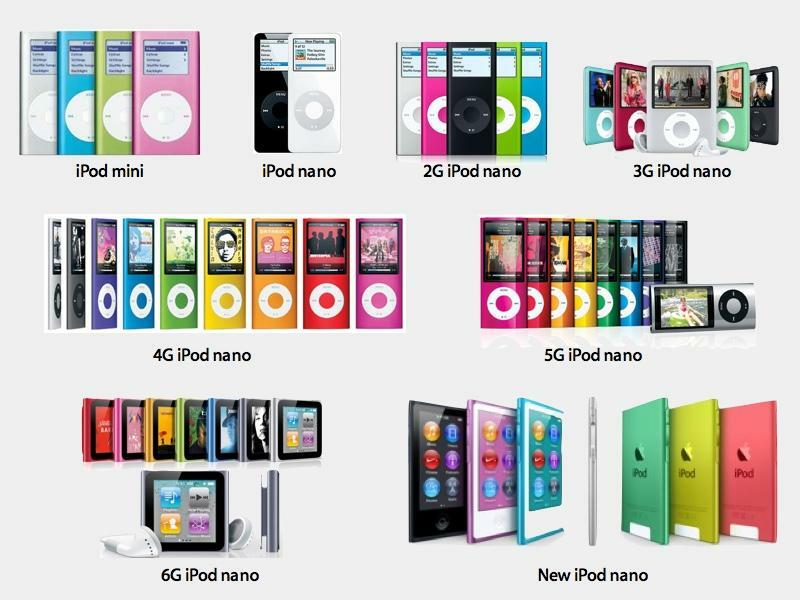 Apples focus on color with iPods culminated in last year's spectrum of iPod touch and iPod nano options, featured in the iPod Bounce commercial (below). Prior to the last decade of iPods, Apple began introducing bright colors into its Macintosh marketing with the 1998 iMac, which stood out from typical beige and black PC boxes by offering translucent plastics infused with color, a trend carried forward by Apples consumer iBooks and even its high end Power Mac G3 and G4 product line.